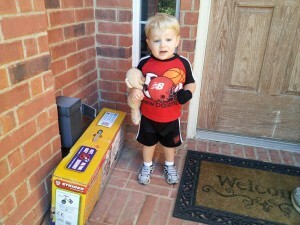 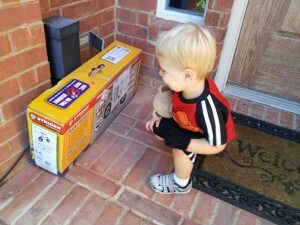 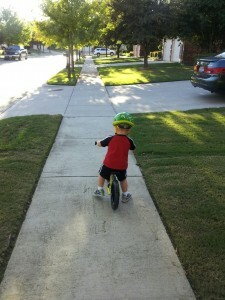 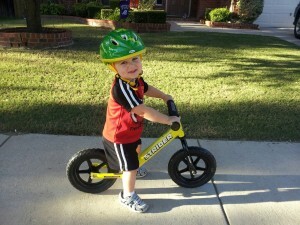 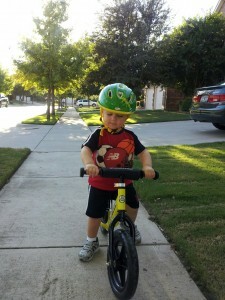 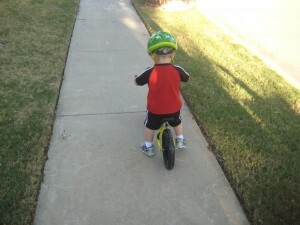 Snips and Snails and Puppydog Tails » Yellow Bike! It’s finally here! 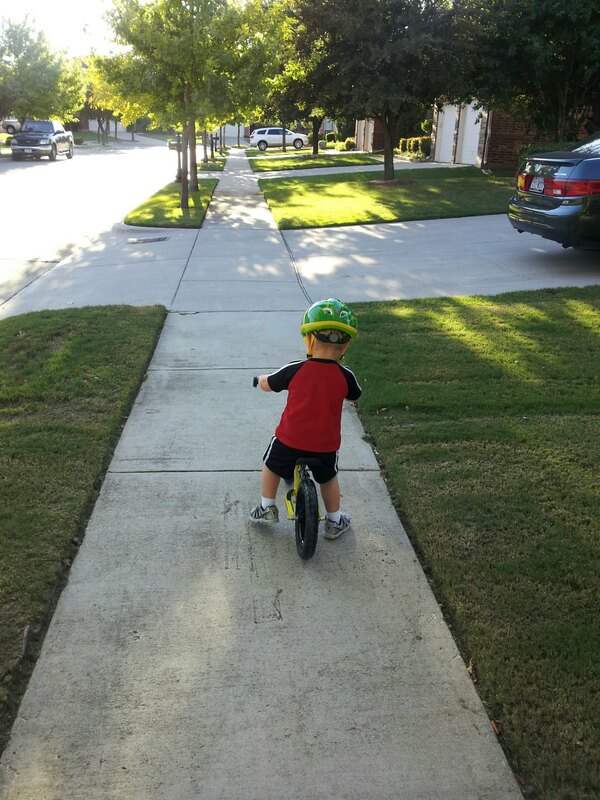 We’ve had the bike for not quite 24 hours, and I think he’s only been off it long enough to sleep. 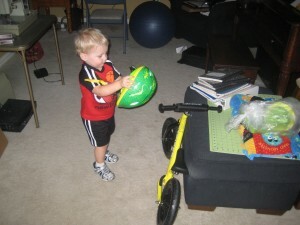 Parking the bike in the office and hanging his helmet on the handlebars. BIG THANKS to Daddy for putting the bike together (with lots of “help” from Sam, I’m sure) and for taking some of those great still shots!